Item # 298673 Stash Points: 5,499 (?) This is the number of points you get in The Zumiez Stash for purchasing this item. Stash points are redeemable for exclusive rewards only available to Zumiez Stash members. To redeem your points check out the rewards catalog on thestash.zumiez.com. 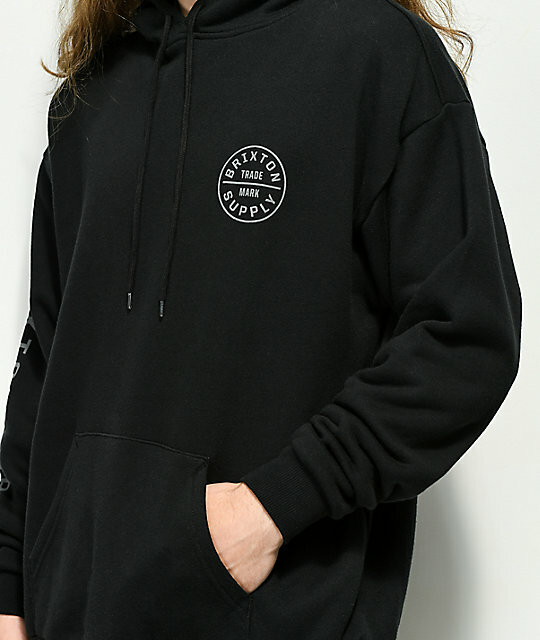 Go classic with the Oath II black and grey hoodie from Brixton. 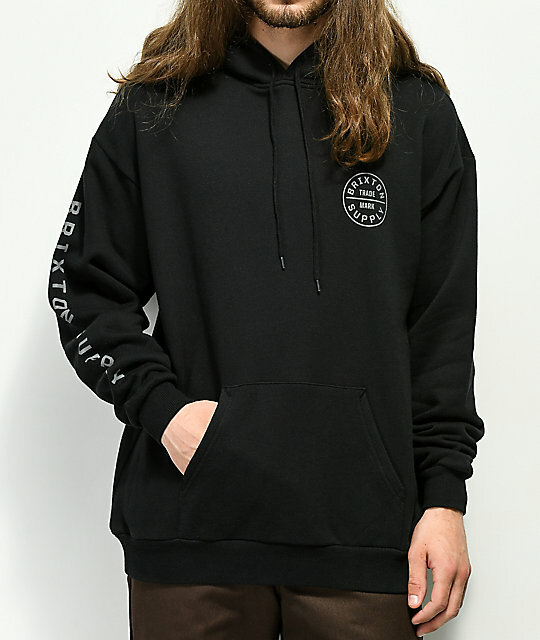 Designed for long-lasting wear, this plush fleece hoodie has a traditional silhouette with an adjustable drawstring hood and a kangaroo front pouch pocket. 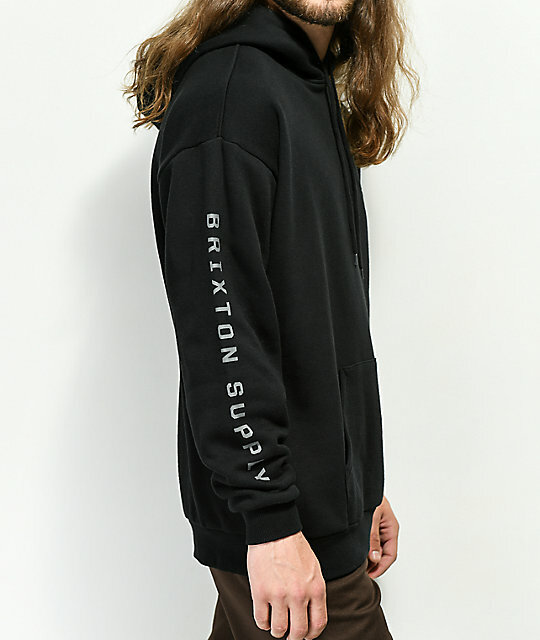 It is finished with grey "Brixton Supply" logo graphics screen printed at the left chest, right sleeve and back. 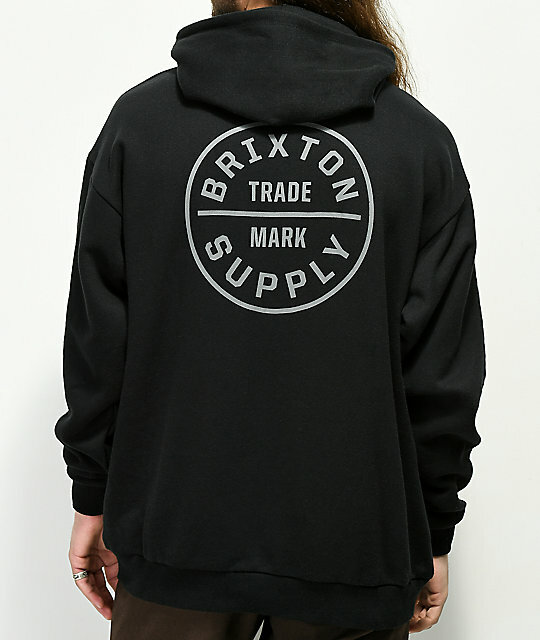 Oath II Black & Grey Hoodie from Brixton. Grey screen print logo graphics at the left chest, right sleeve and back.